Hello, and welcome to Flanders, the north-western part of Belgium. Belgium is a country split in two by a language boundary. In Flanders, north of this boundary, Flemish is spoken -- a variety of Dutch with many regional variants. South of the border, in the Walloon region, people speak a Belgian variety of French, also with many local dialects. The national capital, Brussels, is enclaved within the Flemish region. 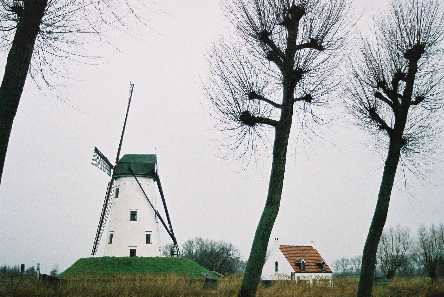 Along the North Sea, the landscape with its polders is often reminiscent of the Netherlands, from which Belgium (a country which has been subjected to many invasions and dominations) seceded in 1830.